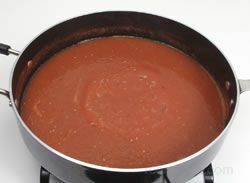 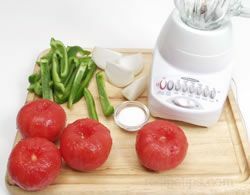 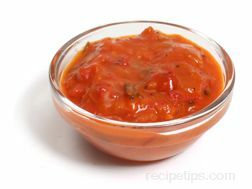 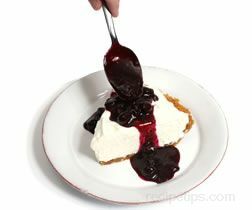 A sauce or paste of Mexican origin made with ground chile peppers, sesame seeds, peanuts, bread or crackers (wheat flour, salt, and corn starch), sugar, vinegar, garlic, pepper, and other spices. 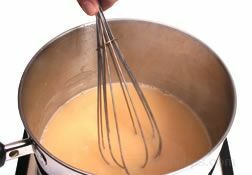 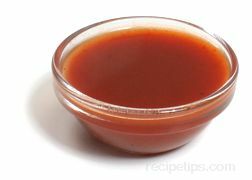 The ingredients are generally cut with 4 parts of water or broth before being heated moderately and served over poultry, seafood, pork, or vegetables. 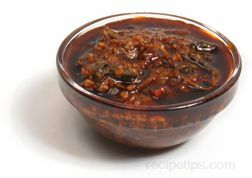 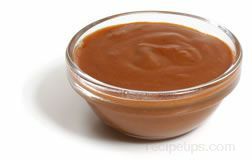 It is considered to be one of the traditional Mole sauces that can be used as either a condiment to flavor foods or as a marinade to season and improve the taste of meats and vegetables.